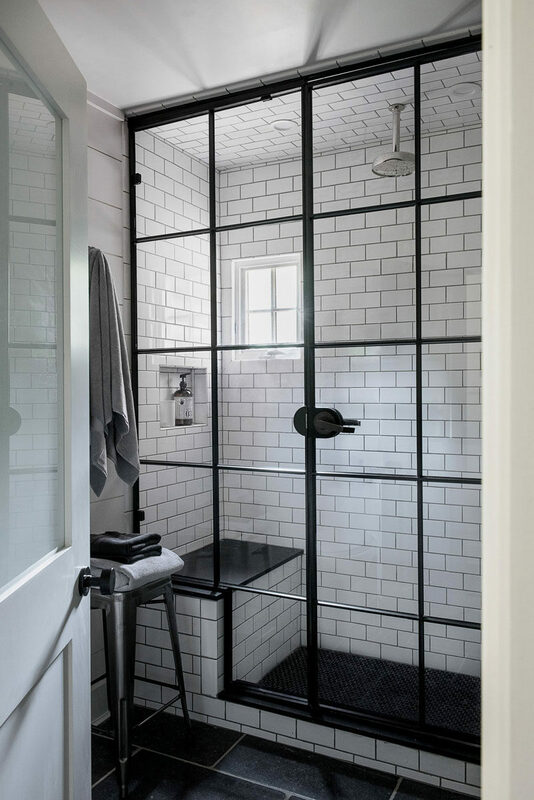 A black shower frame is a sleek way to define the shower area and contrast the other materials used throughout your space. 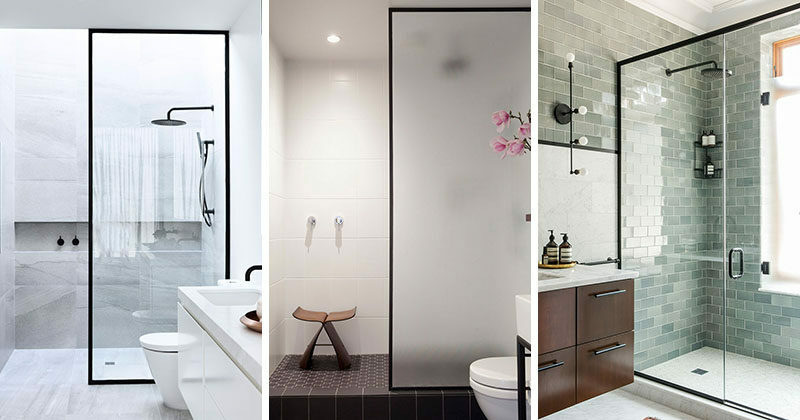 Here are 8 inspirational examples of showers with black frames to inspire a modern change in your bathroom. 1. The black frame around the glass of this shower matches the black frame around the mirror as well as the black hardware used throughout the rest of the bathroom. Spotted in a home designed by canny. 2. 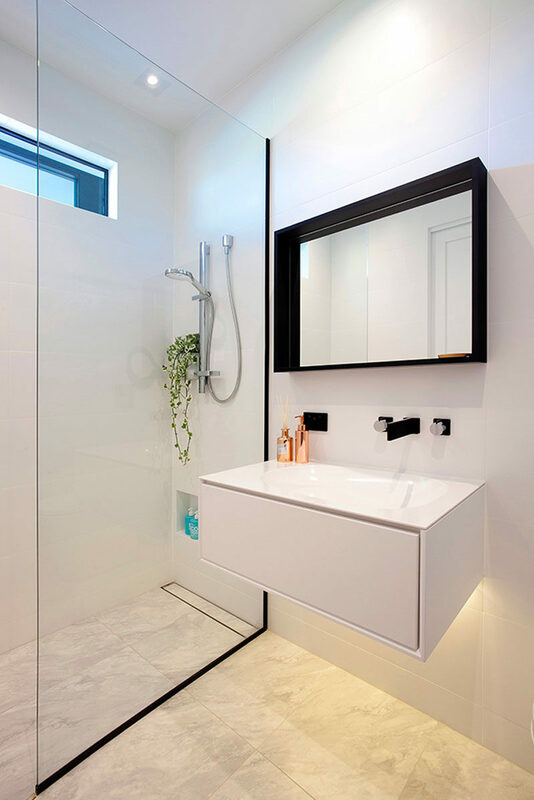 Black frames surround the glass panels of this shower and match the hardware to create a modern looking bathroom with a light/dark contrast. Spotted in a loft apartment designed by Spinzi Design. Photography by Curtney Photography. 3. 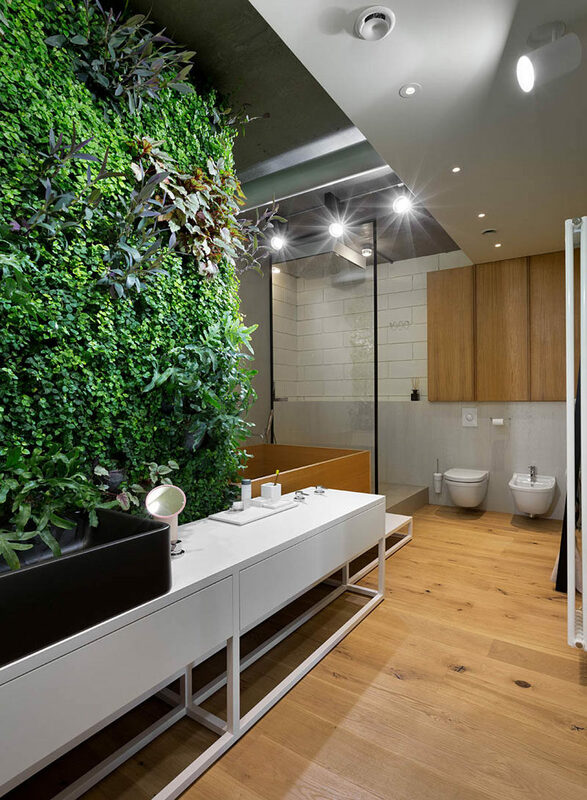 The black frame around the shower adds an industrial touch in contrast to the natural elements of wood and greenery throughout the rest of this bathroom. See more photos of this home, here. Designed by Olga Akulova. Photography by Andrey Avdeenko. 4. 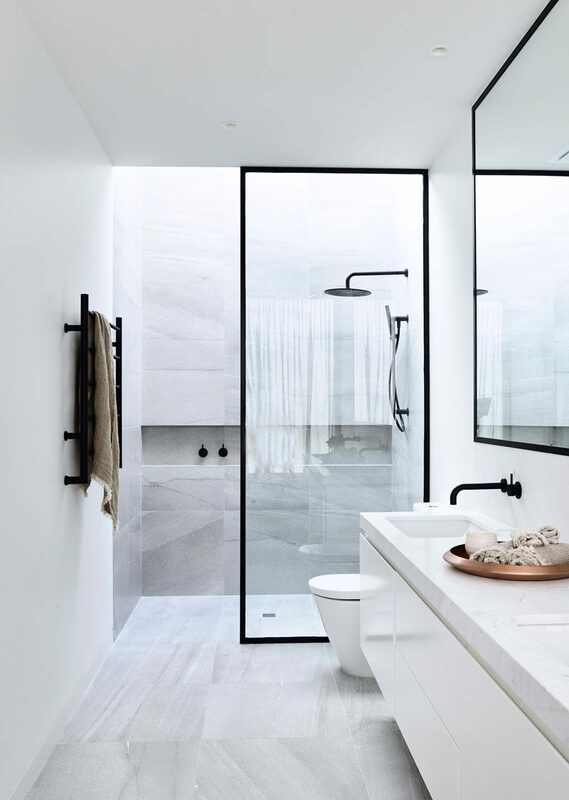 The black elements of this bathroom, including the black framed shower, tie the space together and create a unified, cohesive look. Spotted in a home designed by MADE Architecture and Elizabeth Roberts Design. Photography by Dustin Aksland. 5. 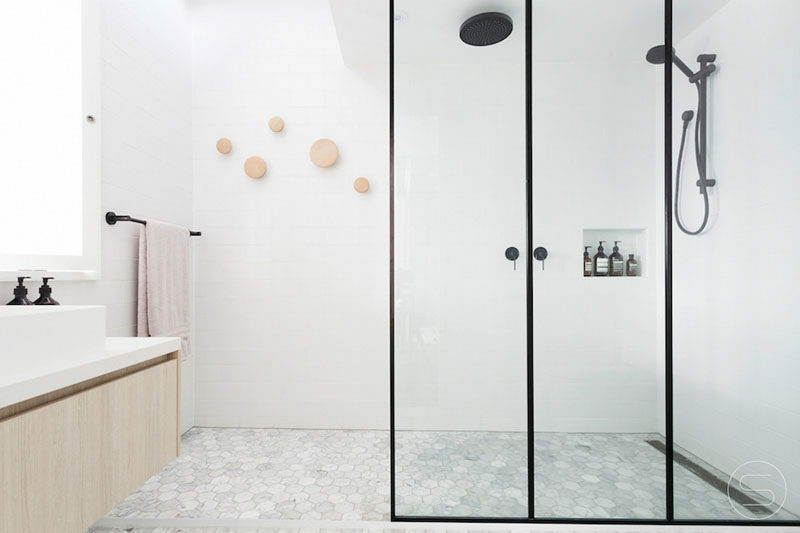 The partial frame around the glass of the shower defines the space in a unique way and brings out the black around the frame of the mirror and on the sink hardware. 6. 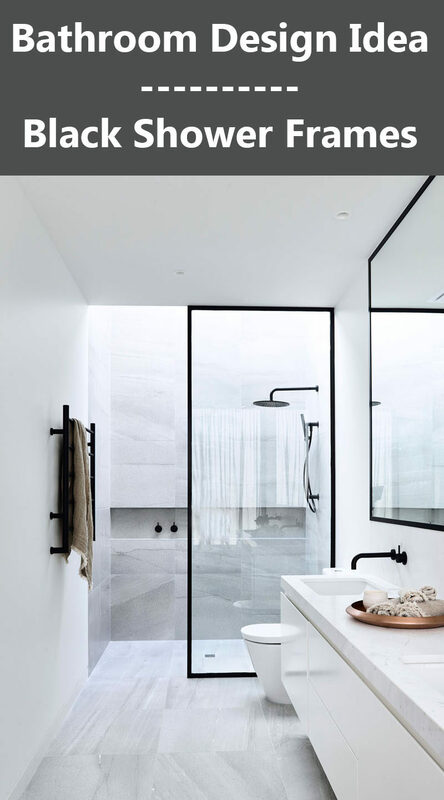 The black frame around the frosted glass door of this shower adds a simple sophistication to the space and ties together the other black elements in the room. Spotted in a renovated bathroom by Bureaux Limited. Photography by David Straight. 7. 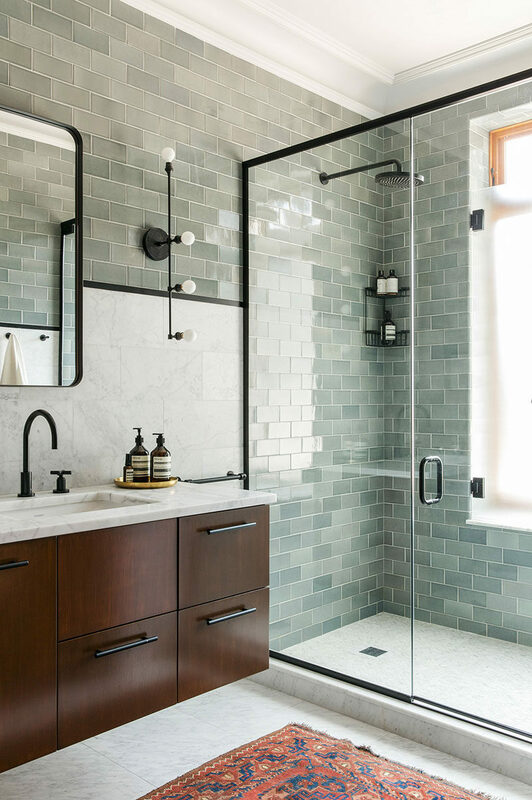 The black window-like frame on the glass of this shower creates an industrial look in the bathroom and matches the small window pane on the opposite wall. Spotted in a home designed by Kelly and Co. Design. Photography by Jane Beiles. 8. 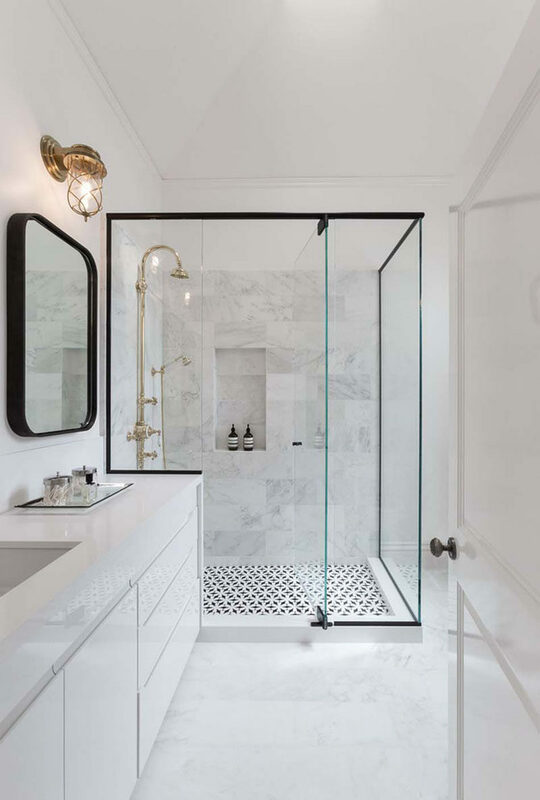 The black frame around the perimeter of the glass on this shower carries around onto the counter to clearly define the shower area and contrast the traditional looking gold hardware. Spotted in a home designed by Geddes Ulinskas Architects.